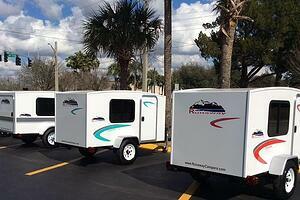 Runaway Campers is a family owned and operated business located in Marion County, Florida. They specialize in the manufacturing of mini-campers. 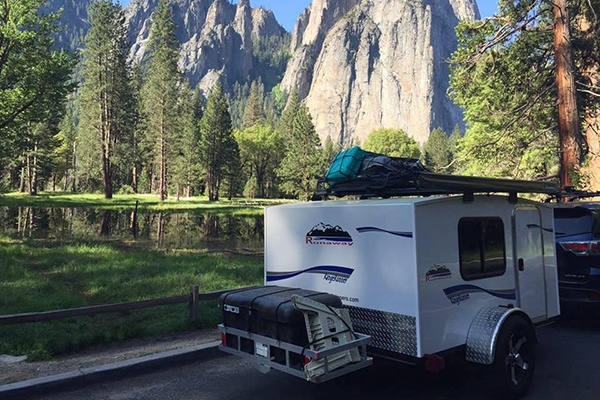 These compact campers offer adventure-seekers and outdoors enthusiasts an affordable alternative to the lavish RVs and campers that often break the bank. Their commitment remains to being ‘America's Most Affordable Mini-Camper’, serving those who prefer absolute simplicity and the most affordable price, without sacrificing quality. Since Runaway builds their campers from scratch, the materials they use must meet the highest of standards in order to guarantee the level of quality they expect for the finished product. 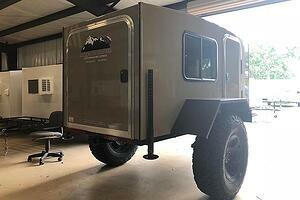 In the past, Runaway has used a combination of VHB tapes, adhesives, and sealants in the production of their campers. Unfortunately, the tape wasn’t a reliable option due to its inconsistency, and the sealants they were using were not UV stable, which required a second caulk to cover it. These issues were not only problematic from a quality and waste standpoint, but they also added additional cost and production time to their manufacturing process. After switching to Sabatack sealants, Runaway Camper cut production times by an estimated 10-20 percent. There was less waste and less time spent by workers changing out cartridges. Additionally, the bonding properties of Saba eliminated the need for screws, giving the campers a cleaner look while also providing a better hold. Chemique’s commitment to innovation, quality, and superior performance has resulted in a wide product range of adhesives and sealants designed to excel in manufacturing applications. Sabatack is a specially formulated MS Polymer sealant range developed for transportation and marine industries. Sabatack manufacturing sealants are UV stable, non-blistering, paintable wet on wet, have high heat resistance, and provide permanent elasticity and flexibility. Chemique Adhesives Inc., is a pioneer in the development of solvent-free polyurethane, water- based adhesives and adhesive application equipment. It has fast become the first-choice adhesive supplier for a diverse range of industries including: transportation, foam conversion, raised access flooring, architectural panels, portable buildings, furniture, and many others. Chemique’s experienced chemists and engineers provide innovative solutions for customers’ adhesive and adhesive application needs. With operations across North America and Europe, Chemique specializes in the development of custom bonding solutions for customers worldwide. For more information, visit www.chemiqueadhesives.com.